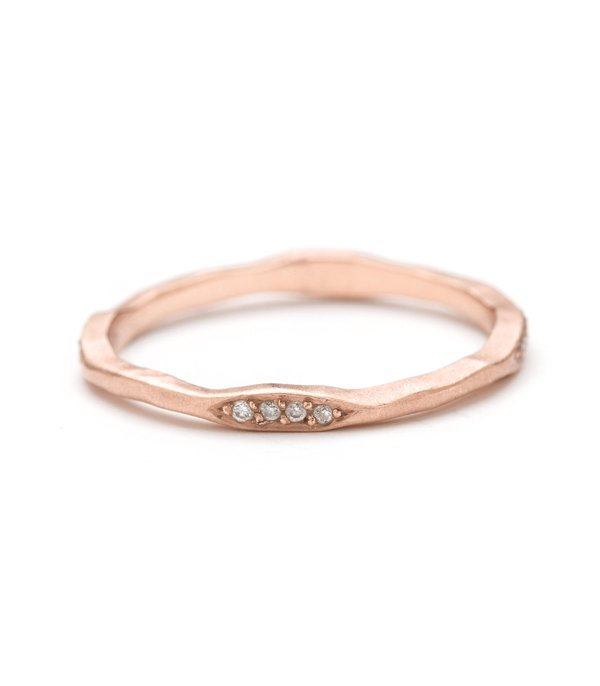 Rustic and refined, the Sienna stack is composed of four 14K gold and diamond rings, and delights us with an unexpected mix of textured and smooth surfaces, refined and organic settings, shiny and matte finishes. She's complex... just like you. 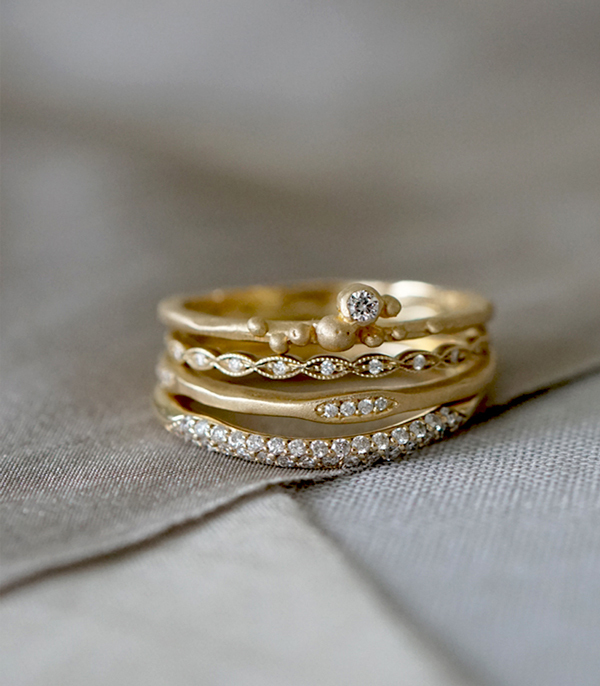 Sometimes a stack features a dramatic centerpiece, but in examples like this, it’s the unique mix of textures and finishes that create the interest. 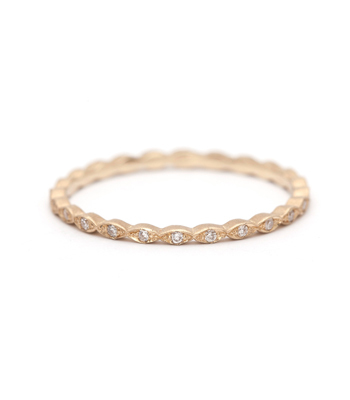 Starting from the bottom, we have our Petite Wavy Band II with diamonds, adding a graceful curve, and blending smoothly with the uneven edge of our Skinny Stack with Pods. 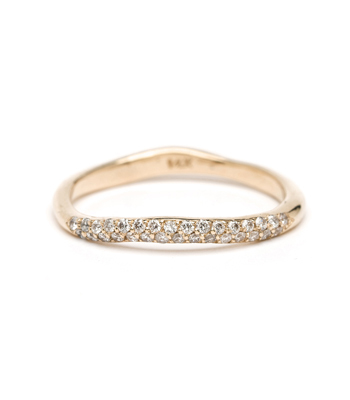 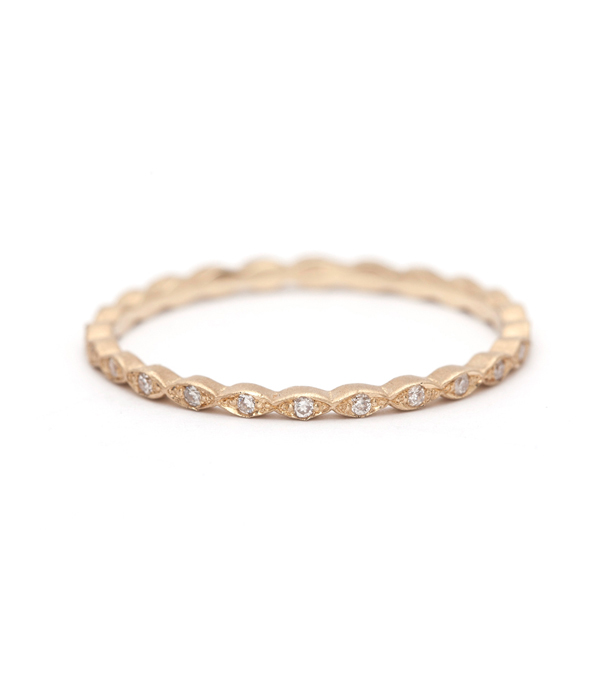 Next, our Petite Marquise Eternity Band brings a delicate feminine details to the mix. And finally, perched on the end of the stack, the Mini Dewdrops Ring adds a natural, whimsical and sparkling accent to your every day. 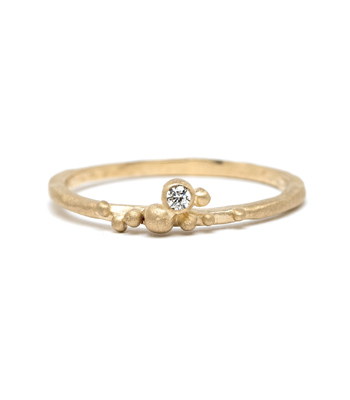 Understated, asymmetric and subtle, this unique set makes beautiful gift for the woman who appreciates eclectic accents, and has a bohemian flair! 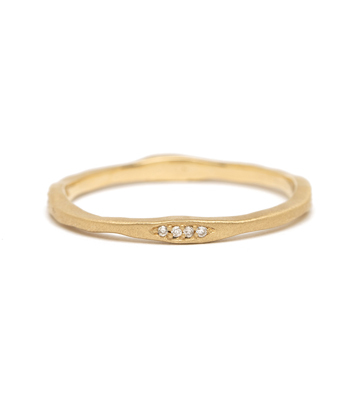 Priced at $3650, you save 15% off of the original $4330, when you purchase the entire set, or shop individually to mix and match with any favorites in your existing jewelry collection.